Three former learners of the Dell ICT Centre at Sci-Bono are now full-time employees at the Dell office in Johannesburg. Martin Tshabalala, Tsundzuka Matthews and Mongezi Hadebe could never have imagined that they would one day be employees at Dell South Africa. Even though the three technicians have walked different paths to be where they are in their current careers, something that they do have in common is that they all completed a six-month course at the Dell ICT Centre at Sci-Bono, and then went on to work at Dell as IT technicians. The Dell ICT Centre is an initiative of Dell Powering the Possible, a corporate social responsibility arm of the company committed to putting technology and expertise to work, where it can do the most good for people and the planet. 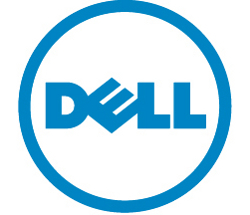 “Dell Powering the Possible focuses on five areas of giving including learning, children’s cancer care, disaster relief, community service and social entrepreneurship”, says Natasha Reuben, Head of Transformation at Dell South Africa. “Dell Powering the Possible is designed to give others the power to do more through a combination of Dell technology and solutions, resources and know-how”. The Dell ICT Centre at Sci-Bono provides information communication technology skills to teachers, learners, unemployed youth and members of the public. “After graduating at the Dell ICT Centre in March, I did not expect that by July I would be working at Dell, the very company that gave me a shot at the IT course in the first place,” says Martin Tshabalala from Diepkloof, Soweto. “The best part about my job is that I get to learn something new every day. I wouldn’t change that for anything”, comments Tsundzuka Matthews from Waterval in Limpopo. The Dell ICT Centre offers a free six-month Microsoft and Cisco accredited Youth Development Programme for unemployed, out of school youth. The program provides Microsoft Office Specialist Training, IT Essentials, PC hardware and software technical skills, entrepreneurship skills and career guidance. Successful completion of the IT Essentials course prepares participants for an entry level PC technician job. The centre is a fully equipped registered Cisco Academy, an Advanced Microsoft IT Academy and a registered Certiport Centre offering the internationally recognised Cisco IT Essentials certification and the Microsoft Office Specialist certification. Registered with the MICT Seta, the centre provides a range of nationally accredited modules. “We are proud of these three young men and consider them an integral part of the company. Even though the course is only six months, some of the learners don’t see it through. Their hard work and persistence are the reason they are here today, and we’re hoping to see them for many years to come as they grow in their chosen fields,” concludes Reuben.